In an increasingly divided society the bible calls individuals, churches and communities to build bridges between loneliness and belonging. Preacher: Bishop Harold Miller. 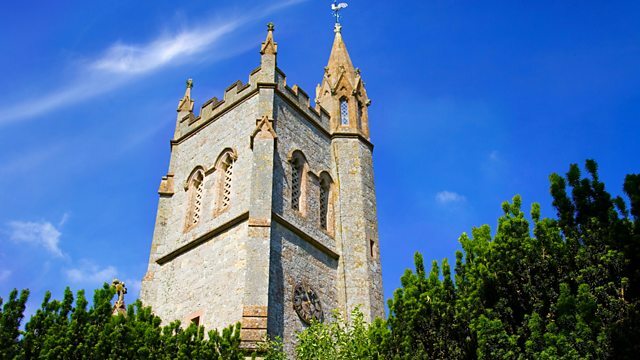 Bishop Harold Miller is the preacher live from Down Cathedral in Northern Ireland as Radio 4's worship services continue their journey through Lent. In an increasingly divided society the bible calls individuals, churches and communities to build bridges between loneliness and belonging - this week, through the invitation to Service. Readings: Isaiah 55:1-3, 6-9; John 19: 28-30. The service is led by the Dean Henry Hull. The Director of Music is Michael McCracken and the organist, Stephen Hamill. Producer: Bert Tosh. A link to resources for individuals and groups can be downloaded from the Sunday Worship web pages. This script cannot exactly reflect the transmission, as it was prepared before the service was broadcast. It may include editorial notes prepared by the producer, and minor spelling and other errors that were corrected before the radio broadcast. It may contain gaps to be filled in at the time so that prayers may reflect the needs of the world, and changes may also be made at the last minute for timing reasons, or to reflect current events. and Happy St Patrick’s day !! This is a very special day as we celebrate our patron Saint whose burial place is here on the hill of Down where our Cathedral Church stands. We are delighted that you are joining us for our worship today. DEAN “Building bridges between loneliness and belonging is the theme taken by Radio 4’s worship programmes during Lent. Peter Chambers won a silver medal at the 2012 London Olympics and Gold at the European Championships for rowing so his body is in optimum condition, and he knows better than most people just how essential proper hydration is. Yet for all his training nothing could quite prepare him for what he discovered in South West Uganda. Travelling with a Christian charity Peter and his professional athlete brother Richard stayed for a week in a village in the mountains and tried to keep up with two young girls Doreen and Givlette as they went about their daily routine of fetching water for their families. St Patrick who was no stranger to loneliness and deprivation, especially during his time in captivity, began his writings, his Confession, explaining how hardship had brought him back to God. READER My name is Patrick. and the least of all believers.. I was taken prisoner. I was about sixteen at the time. It was among foreigners that it was seen how little I was. It was there that the Lord opened up my awareness of my lack of faith. Even though it came about late, I recognised my failings. So I turned with all my heart to the Lord and he looked down on my lowliness and had mercy on my youthful ignorance. BISHOP May the Father of all mercies cleanse you from your sins, and restore you in his image to the praise and glory of his name, through Jesus Christ our Lord. Amen. And, if that isn’t ironic enough, the one whose first miracle is turning water into the most exquisite of wines at the wedding feast in Cana of Galilee, is given only cheap wine vinegar to drink from a sponge in his last minutes of life. (in order to fulfil the scripture) ‘I am thirsty’. and, in fulfilment of Psalm 69:21, they gave him vinegar to drink. get involved in boring wells, in communities which do not have them, so that people can have a supply of clear pure water, safe to drink. What we see before us on the cross of Calvary is the dying Jesus - in the words of Psalm 22: his strength dried up and his tongue sticking to his jaws-, in the hot midday sun and the trauma of crucifixion, with his very life draining away, simply and movingly speaking out his felt human need. -words of hospitality from Matthew 25, which we seek to live out here in this place. Because the soldiers were gambling, often cynical, hardened, cruel, I used to think that giving Jesus wine vinegar was part of their cruel, inhumane way of acting. I no longer think so. Jesus had been offered a drink before the crucifixion, ‘wine mixed with gall’, probably to ease the pain, and poison him or make him less conscious. This he had refused, because he wanted to be totally present in his suffering. But now he is given, even with a degree of kindness from his enemies, a little bit of the cheap solders’ drink, probably wine vinegar mixed with water, on a soaked sponge on a piece of hyssop. Those around could have ignored him, jeered at him, reminded him that he had refused the first drink, whatever, because to crucify someone, you have to dehumanise them in your mind. But for that moment, they didn’t. There is therefore a challenge for Christians in this. If even an unbelieving soldier was momentarily touched by the human need of Jesus, how do we, who believe, in the strap line of the aid agency which sent Peter Chambers and his brother out to Uganda, ‘follow Jesus where the need is greatest’? Human need can simply overwhelm us, or numb us, or desensitise us. But the one hanging on the cross who needs a drink, is also the one who drinks his own cup of suffering for our needs. ‘What return can I make to him for all his goodness to me? as he gave it to others who loved him. When the pilgrims leave this Cathedral tomorrow, they will see facing them something which was not there last year. A most impressive replica, in Mourne granite, of the Celtic high cross which stood here when the cathedral was a Benedictine abbey. It is large and imposing and very beautiful. But, for me, the most remarkable thing about it is that there is a handprint worked into its base, where pilgrims to this place are invited to place their hand to connect with the cross. When it was dedicated the Catholic bishop and I placed our hands there as a sign of our common commitment to Christ. nor was there ever, except God the Father. was welcomed to the heavens to the Father. both heavenly and earthly and beneath the earth. one God in a trinity of the sacred name. that as a people prepared we may turn our hearts to the Lord. that we may thirst no more. Sunday Worship came live from Down Cathedral. The preacher was the Bishop of Down and Dromore Harold Miller and the leader was the Dean Henry Hull: The Director of Music was Michael McCracken and the organist Stephen Hamill. The producer was Bert Tosh. Next week Sunday Worship comes live from Kerith Community Church, Bracknell and takes as its theme ‘Invitation to Hope’. Lent resources complementing the programme themes for individuals and groups can be found on the Sunday Worship website. Two British athletes working in Africa took on a water-carrying task – and struggled.